Set yourself up for success with foods that help you perform. Your materials aren’t the only things that matter when you give a work presentation—what you eat beforehand can makes difference, too. Here’s what you need to know to be at your best when it’s your turn in front of the team. Complex carbohydrates: Complex carbohydrates include whole grains (think brown rice, oatmeal or whole grain crackers), fruits, legumes and vegetables. Lean protein: Examples of lean protein include chicken, turkey, pork, fish, and plant-based proteins such as tofu, beans and lentils. The benefits: One meta-analysis published in the journal Obesity found that eating pulses (a source of lean protein that includes beans, peas, chickpeas, lentils) increased subjects’ feelings of satiety, or fullness. Perfect for when you’re trying to avoid having hunger pangs mid-presentation. Healthy fats: Monounsaturated and polyunsaturated fatty acids (like omega 3s) can be found in foods including olive oil, fish, walnuts, almonds, pumpkin seeds and avocado. The benefits: According to the the Cleveland Clinic, research links omega-3 fatty acids to improved blood flow, memory function and mood. Plus, according to a review in published in the International Journal of General Medicine, omega 3 fatty acids in particular may be helpful in preventing memory decline. Passerrello offered two meal ideas that combine all of these nutrients. 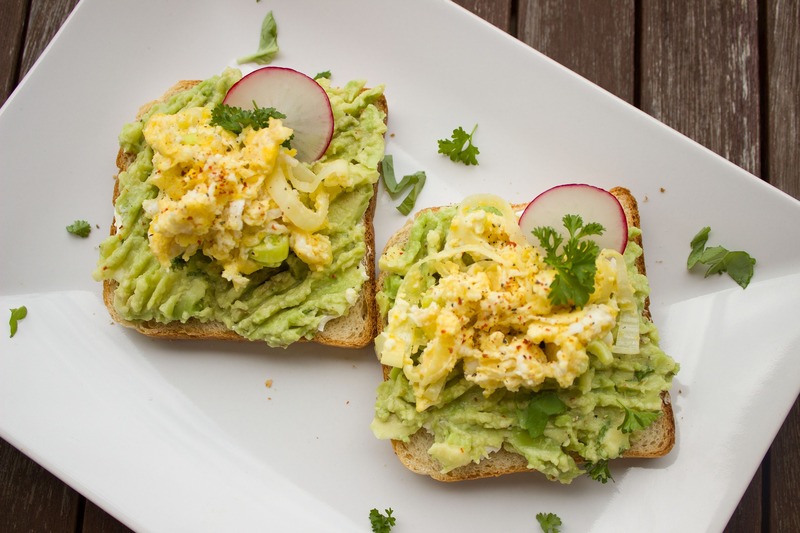 First, spread avocado (a healthy fat) on whole grain toast (a complex carb) and top it with shredded chicken (a lean protein). Or if your presentation is in the morning, have oatmeal (a complex carb) and top it with almonds (a healthy fat) and have some Greek yogurt (lean protein) on the side. If these types of foods are new to your diet, it’s a good idea to try them in advance rather than trying them for the first time the day of your presentation. “I consider a big presentation similar to a big game for an athlete. So if your sport of choice is Powerpoint, don’t try anything on presentation day that you haven’t tried during training, ” Passarello says.